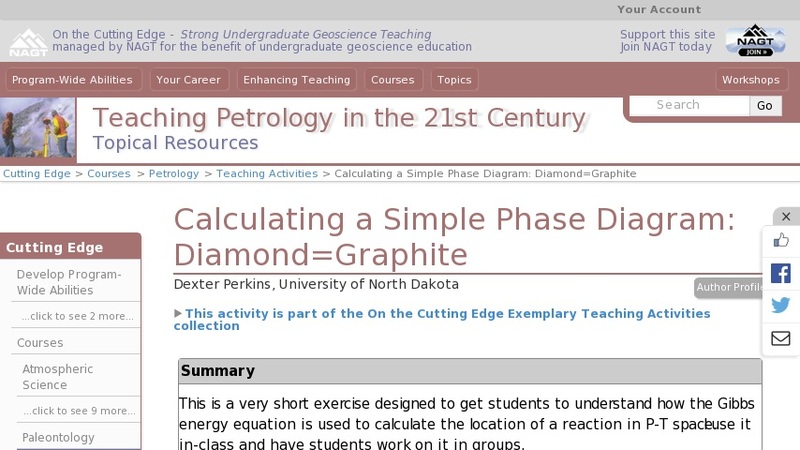 This is a very short exercise designed to get students to understand how the Gibbs energy equation is used to calculate the location of a reaction in P-T space. I use it in-class and have students work on it in groups. Besides calculating the location of one reactions, students also have to think a bit about the significance of volume and entropy with regard to mineral stability. This exercise is very straightforward EXCEPT that students get the units (bars, Kbar, cc, etc.) confused.